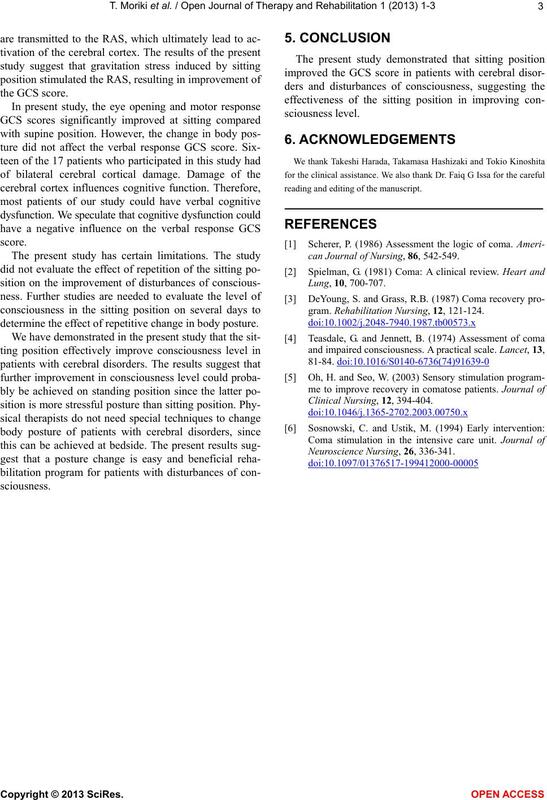 disorders and disturbances of consciousness. 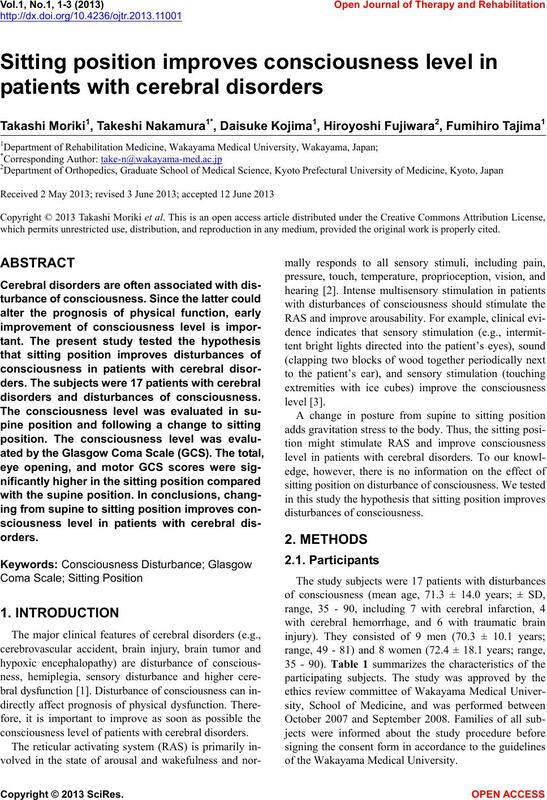 consciousness level of patients with cerebral disorders. disturbances of consci o us ness. of the Wakayama Medical University. Table 1. Patient characteristics and causes of brain injury. ness level in all 17 patien ts. subject was in comfortable supine and sitting positions. from supine to sitting in all subjects. score of 5 (IQR, 3 to 6). GCS score (c) and motor response GCS score (d) of 17 patients. (by Wilcoxon matched-pairs signed-rank test). reading and editing of the manuscript. 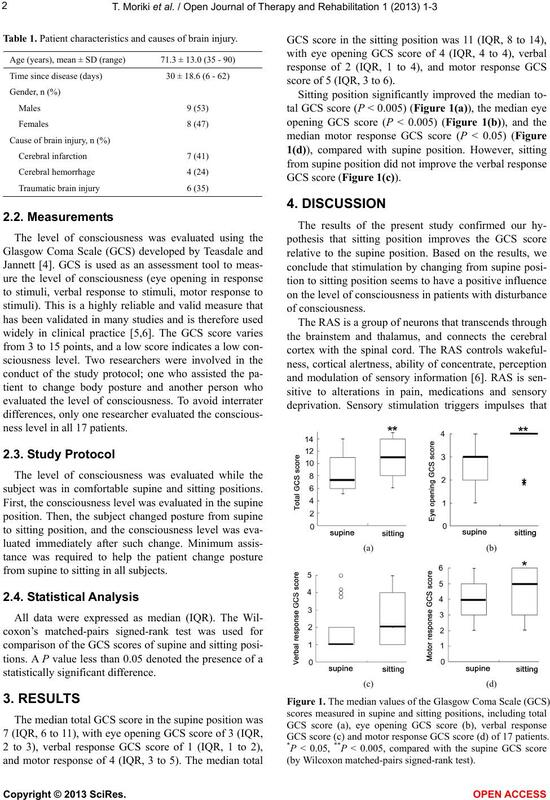 can Journal of Nursing, 86, 542-549.
determine the effect of repetitive change in body posture. gram. Rehabilitation Nursing, 12, 121-124.